Bart Weetjens wanted to do something to benefit the world, and using his ‘HeroRATs’ he is doing just that. The technology of rat training is based on the science of behavior analysis. As practitioners here at ADI, we know its power to change the world. This science has many applications to better humanity, not just at work but across social, economic, and political conditions around the world. We hope you will find this background story of interest. Watch Bart on TED and listen to his inspired words for changing the way communities can use this technology to save life and create economic conditions for success. TED has a video about Bart and his HeroRATs. Weetjens has rats sniff out land mines, and has applications in development to find people lost in the rubble of earthquakes, solving various issues of TB detection, and addressing many areas of human suffering—with no harm to the rats. The years of laboratory generated research provides his team the tools for endless applications in partnership with this technology. We will bring you other stories of how this monumental science produces noble and socially significant behavior to “change the way the world works.” Darnell Lattal, Ph.D. In the 1990s approximately 25,000 people suffered loss of life or limb as a result of accidental detonation of land mines left behind from past wars and regional conflicts. Sadly, roughly 32 percent of these casualties were children. Such events often brought continual and far-reaching repercussions. For example, one single accident instilled such fear that it displaced an African village of 25,000 people to refugee camps. Concerted efforts to rid the world of land mines escalated when in 1995 England’s popular Princess Diana made doing so her cause and focus. In response to the princess’s plea, Bart Weetjens, a Dutch industrial engineer, envisioned a way to address the problem with an army of heroes—HeroRATs that is. Even though successful, Weetjens wasn’t satisfied with his career. He felt the drive to do something to alleviate human suffering. Princess Diana explained that even a suspicion of land mines prevented development of vast areas of land. Her appeal for new ways to detect these destructive devices inspired Weetjens to create an organization: APOPO (an acronym from the Dutch language meaning Anti-Personnel Landmines Detection Product Development). 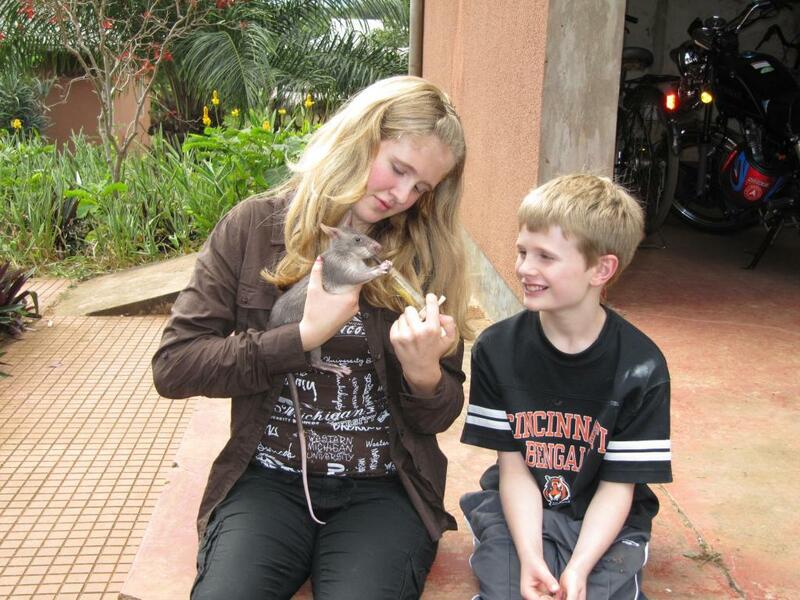 As a child, Weetjens had two passions: a passion for any type of rodent and a passion for the mesmerizing African continent. From experience with his many childhood pets, Weetjens knew that rats were intelligent, very social, and highly trainable creatures. 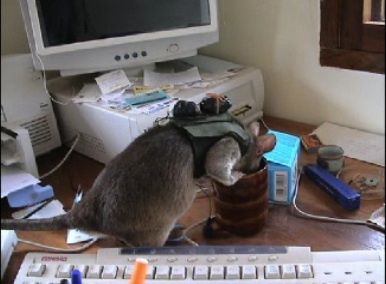 Therefore, he soon began the venture of training Giant African Pouched Rats to sniff out explosives. These rats are indigenous to the sub-Saharan region where a great number of land mines exist. The rats live up to eight years in captivity and are calm and easy to train. 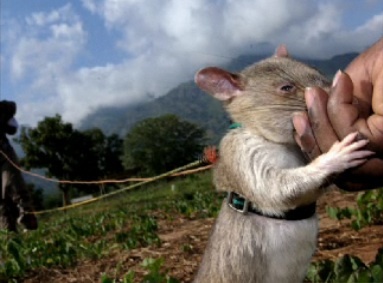 Soon, the APOPO facility in Tanzania, was making great strides with its trained rats, first in the quest to rid the world of land mines and later in the detection of tuberculosis. Animal lovers should recall that APOPO was founded not only by a humanitarian but an animal lover as well. Therefore, no worries are necessary about the safety and welfare of the organization’s HeroRATs, as they are called. Each rat also has its own name, just like any pet, and although the rats learn quickly, the training time and diligence taken in producing an animal that can detect land mines or the scent of tuberculosis makes these rodents treasured investments. The Giant African Pouched Rat is nocturnal, and makes up for its poor eyesight with an extraordinary sense of smell. According to Weetjens, rats have more genetic material related to the sense of smell than any other mammal species. And though dogs are still excellent scent detectors, the HeroRATs offer several advantages—one being that their noses are always next to the ground just by virtue of their anatomy. “There are a lot of different ways to detect mines. Dogs are often used and they do a good job. But rats can fill a substantial niche because they’re easier and cheaper to maintain than dogs, and they don’t bond to one person. They’ll work for anybody basically,” Poling comments. In fact, rats can be trained at a fifth of the price required to train a dog in the same capacity and many dogs can’t tolerate the African climate. Of course before they go to work the HeroRATs must first learn how to do the job. As soon as a baby rat is weaned from its mother at about three weeks of age, its trainers begin exposing it to a world of socializing experiences. For the first few months of their lives, the young rat trainees ride in automobiles, hang out in people’s offices, and even listen to the radio. “We want to have them adapt to a variety of environmental stimuli. Once this process is done, we begin clicker training,” says Poling. Though APOPO claims that its heroes “work for peanuts” (a favored snack) the little rodents also go bananas for bananas. Therefore training them to eat mashed bananas mixed with rat chow from the end of a tube is a fairly easy process. During this phase, the trainer sounds a clicker every time the rat is rewarded with food, so that the animal learns to associate the sound of the clicker with a treat. When the rats reliably approach the trainer as soon as the clicker sounds, it’s time to move to the next step of training. The little hero is then placed in a stainless steel cage containing a hole. Beneath the hole is a small pot containing a sample explosive or a positive sample of the tuberculosis mycobacterium, depending on which scent the rat is being trained to identify. “At first, as soon as there’s contact with the hole, we present the clicker and the banana mix and then gradually we increase the time required above the hole. When the rat reliably goes over to the hole and keeps its nose there for five seconds, then we move to the next training phase,” explains Poling. Eventually the rat graduates to training in a rectangular cage with ten holes and ten samples. The rat doesn’t receive reinforcement for standing above a negative sample, so it rapidly learns to discern which samples are positive. Rats learn this entire process quickly and are soon running the length of the cage stopping only at the holes that contain positive samples. The rats trained in the cages to detect explosives (mine detection rats or MDRs) are eventually certified in a test mine field seeded with approximately 1,200 land mines of all types. Once the rats pass the field-training challenge in Tanzania they are flown to Mozambique, where they are further trained and tested and eventually accredited as operational mine detection animals. On the job, the rat moves systematically along a rope stretched between two trainers who slowly move down safe lanes as the rat moves back and forth between them while sniffing the ground. When the rat detects a mine, it pauses and scratches the ground. Areas where such responses occur are subsequently searched with metal detectors and any explosive devices that are detected are flagged and remotely detonated by a human crew. Trainers are careful not to overwork their hero detectives who are prone to heat exhaustion, so the discovery work occurs in the morning. Data collected by APOPO indicate that the rats are accurate and relatively inexpensive land mine detectors. According to World Health Organization statistics, 1.9 million people died in 2009 from tuberculosis. One person with tuberculosis can infect 10-15 healthy people on average if the disease goes undiagnosed and untreated. Due to the early and fast detection rates of the HeroRATs, 9,300 transmissions of tuberculosis were prevented in 2009 and, so far, in five hospitals, the HeroRATs increased tuberculosis detection by 44 percent. In 2009 alone, the HeroRATs detected 620 new patient cases. Also in that year, 44,457 people benefitted from mine clearance and 1,312,027 square meters of land have been reclaimed since the start of operations. In addition to 169 land mines, the HeroRATs found 181 pieces of unexploded ordinance and 3,871 small arms and ammunition. Yet, the HeroRATs face a larger challenge than some may realize. Even though the land mines that are sought in de-mining operations have been buried for two decades, 76 countries and territories around the world currently remain affected by the explosives, with approximately 6,000 land mine related casualties occurring each year. An estimated 50 million land mines remain buried across the African continent alone. “Our rats have saved lots of lives,” Weetjens has commented. And they are probably destined to save many more. To date, 11 African governments have endorsed the work of these intelligent rodents, and have also agreed to use this approach to peacefully clear their borders. APOPO is negotiating and hoping to take its de-mining rats to other countries such as Cambodia, Thailand, and Colombia. International, individual, and organizational support and funding is necessary, however, to continue this life-saving work. New ideas are also in the works, including tiny backpacks equipped with cameras (now in prototype stage) for the rats. Using the miniature cameras, the rats may be very successful in locating earthquake victims and conducting similar searches where dogs are too large to enter. Cargo inspection, environmental detection of contaminants, airport and seaport security, diagnosis of diseases such as breast and prostate cancer: all are possible future uses for the HeroRATs and their incredible sense of smell. Currently APOPO seeks to standardize, semi-automate, and replicate the technology so that it can be used on a larger scale to help more people. 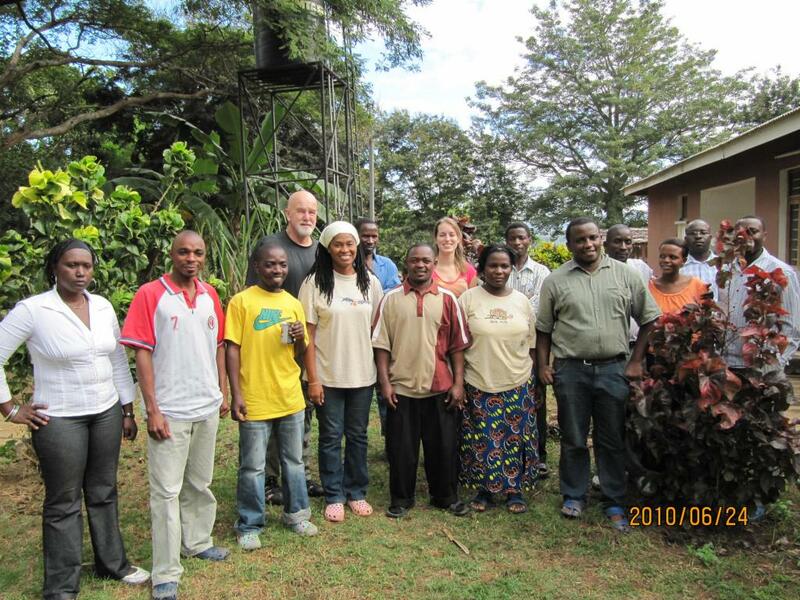 It should not go unmentioned that 90 percent of the 150 APOPO staff and trainers are Tanzanians or Mozambicans. The organization has thus acted as a major contributor to the local economy. In a region where most residents live on less than a dollar a day, many have learned a new skill and enjoy a much better quality of life. To support the important causes of land mine and tuberculosis detection, the APOPO (Anti-Personnel Landmines Detection Product Development) foundation in Tanzania invites people around the world to adopt a HeroRAT. The funds donated go toward the food, training, housing, and transport of a HeroRAT that may be selected from those featured on www.apopo.org. (Currently Kim, Tyson, and Ziko are available.) “The rats are well treated. We take good care of them,” assures Poling. The rats spend several hours a day working and training, but like many of their human counterparts, they take the weekend off for playing and indulging in their favorite foods. The rats live in large kennels with access to outdoor pens and enjoy being petted and taken on daily walks, and these rats seem to know they’re living well. When their kennels are being cleaned, they don’t attempt to escape but instead wander about and explore. “My daughter and one of her classmates asked for money instead of presents for their birthdays so that they could adopt one of the rats,” says Poling.